Property 3: Padua: Villa with large private park. Property 7: Manor House, view palladian monument. Ponte Vecchio. 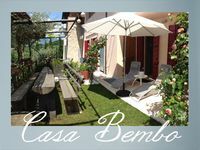 Property 11: Authentic holiday accommodation on a farm, near Asolo. Property 14: Authentic holiday accommodation on a farm, near Asolo. Property 20: Authentic holiday accommodation on a farm, near Asolo. Ca' Girotto: Feel like a Prince ! Property 44: Ca' Girotto: Feel like a Prince !